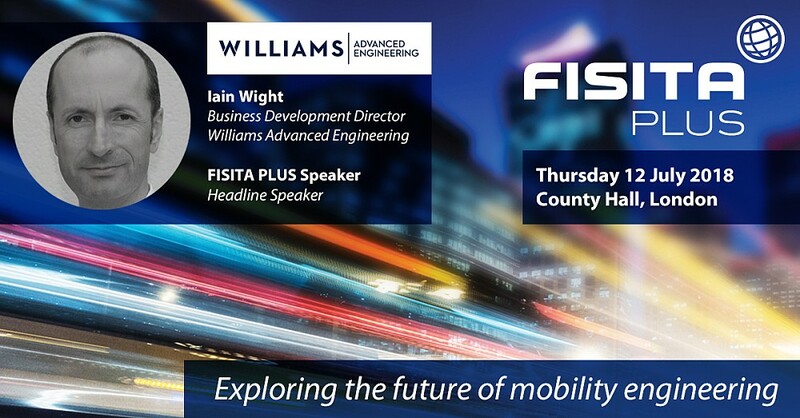 FISITA, the international membership organisation for the automotive and mobility systems engineering profession, today announces the complete speaker line-up for its FISITA PLUS conference, with Iain Wight, Business Development Director at Williams Advanced Engineering confirmed as the Headline Speaker. As part of the headline session, Iain will speak with delegates about Williams Advanced Engineering’s world class technical innovation, engineering, testing, manufacturing and operational consultancy services. NIO Vice President Charlie Zhang will be the special guest taking part in the Leadership Interview, hosted by Paul Mascarenas, Ford’s former CTO and current independent director, business advisor and technology executive. Registration for FISITA PLUS is open and tickets can be purchased at www.fisita.com/fisitaplus. Further information is available by emailing fisitaplus@fisita.com. FISITA is also offering an exclusive opportunity for select companies to be part of this event and has created a number exhibition, sponsorship and advertising opportunities to generate valuable brand placement visibility – find out more here.